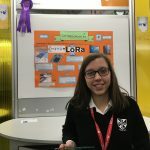 The BT Young Scientist Exhibition 2019 took place from January 10th to 12th at the RDS in Dublin. 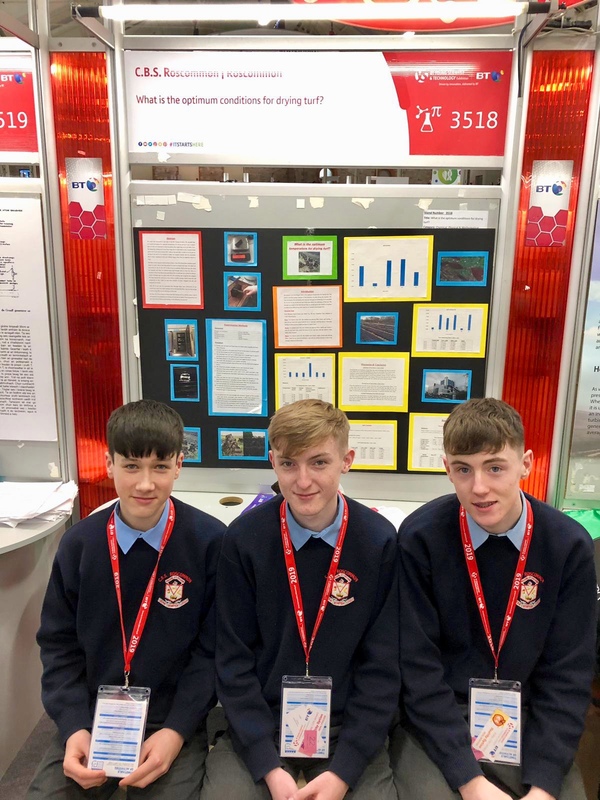 The annual school students’ science competition is now in its 55th year and had nearly 550 projects exhibiting at this year’s event. 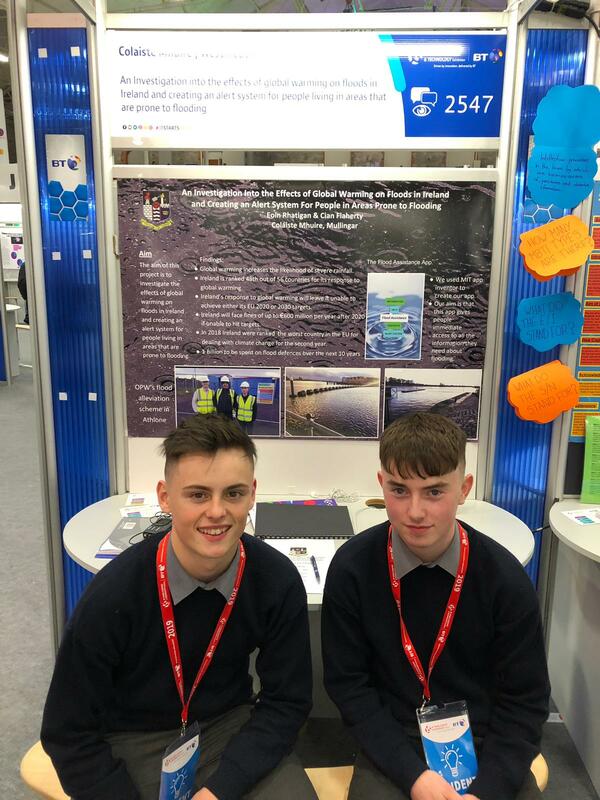 Met Éireann presented a special award for the best meteorological themed project at this year’s exhibition. 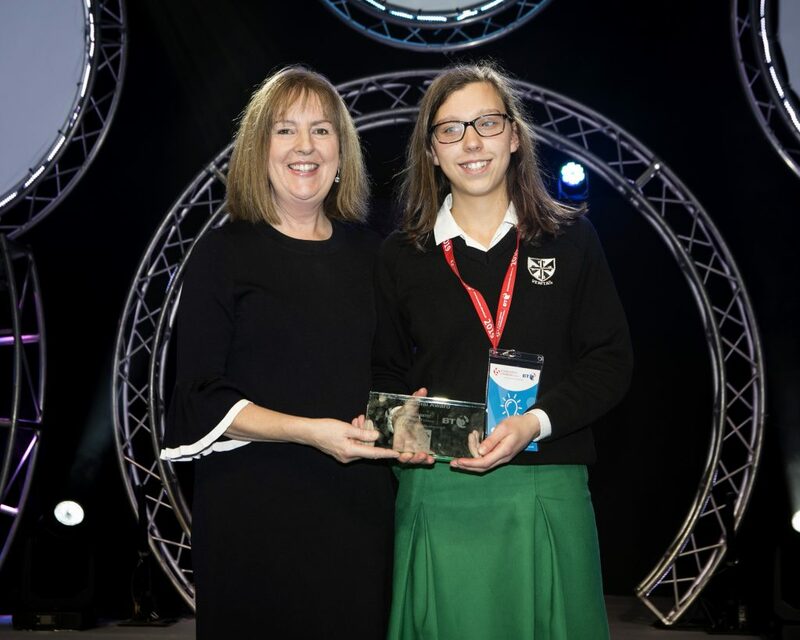 The winner of this award was Julia Aslambekova from Muckross Park College in Dublin who was in the Technology Senior Individual Category. Congratulations to Julia and her teacher Lisa Shine. 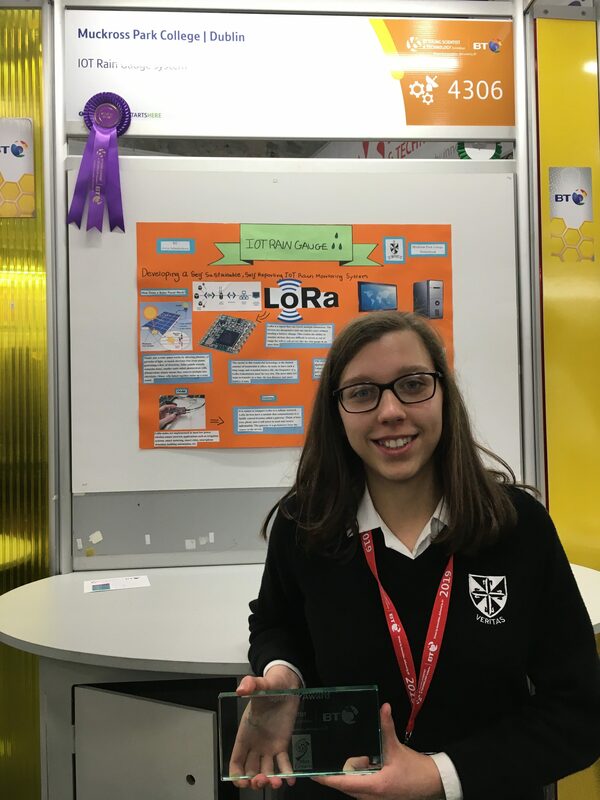 Julia’s project was titled “IOT Rain Gauge system”. 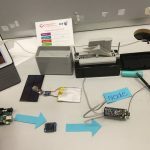 This involved developing a self-sustainable, self-reporting IOT (Internet of Things) rain monitoring system. The rain monitoring system includes a tipping-bucket rain gauge which tips (records, empties and resets) with every 25mm of rain. This data is then sent using LoRa to a recording device. ‘LoRa’ is a radio signal that can travel multiple kilometres. 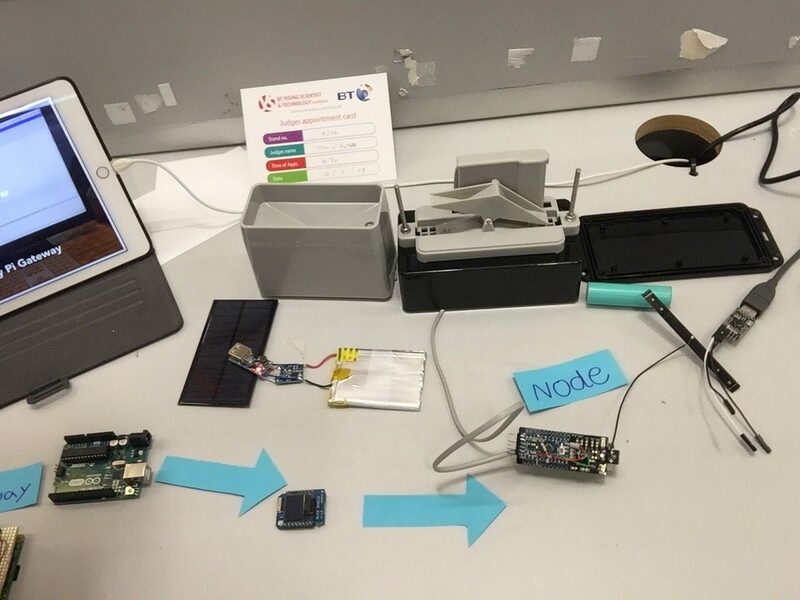 LoRa devices are inexpensive and can run for years without needing a battery charge. This creates the ability to monitor devices that are difficult to access or are out of range of Wi-Fi or cell service, for example a rain gauge on top of a mountain. Julia’s tipping-bucket rain gauge and information transfer equipment. Julia Aslambekova with the Met Éireann award. 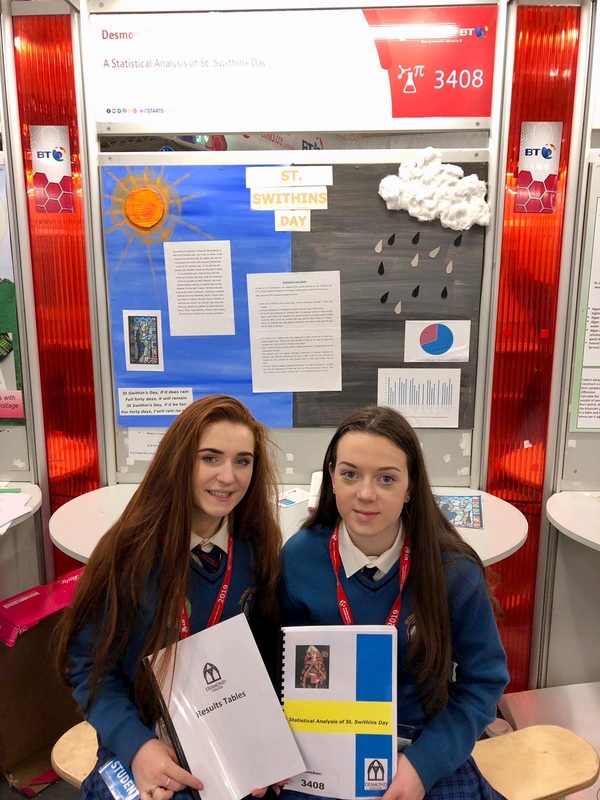 There were lots more impressive meteorological themed projects, many of which used Met Éireann data in their work. Title: The effects of heavy rainfall on plastic pollution in the ocean. Title: What are the optimum conditions for drying turf? Title: A Statistical Analysis of St. Swithins Day – is the myth true? Cian Flaherty and Eoin Rhatigan from Coláiste Mhuire in Co. Westmeath. 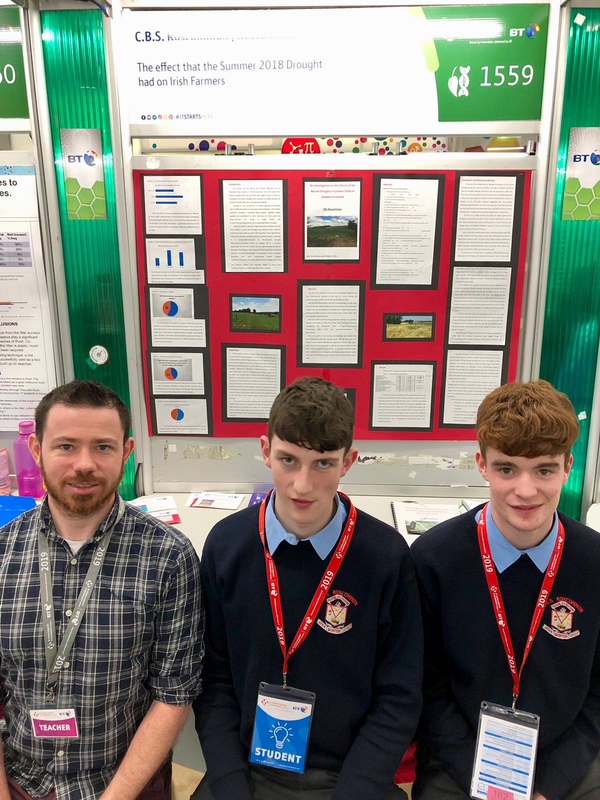 The Primary Science Fair – aimed at primary school students – took place concurrently to the BT Young Scientist Exhibition and also featured many wonderful projects. 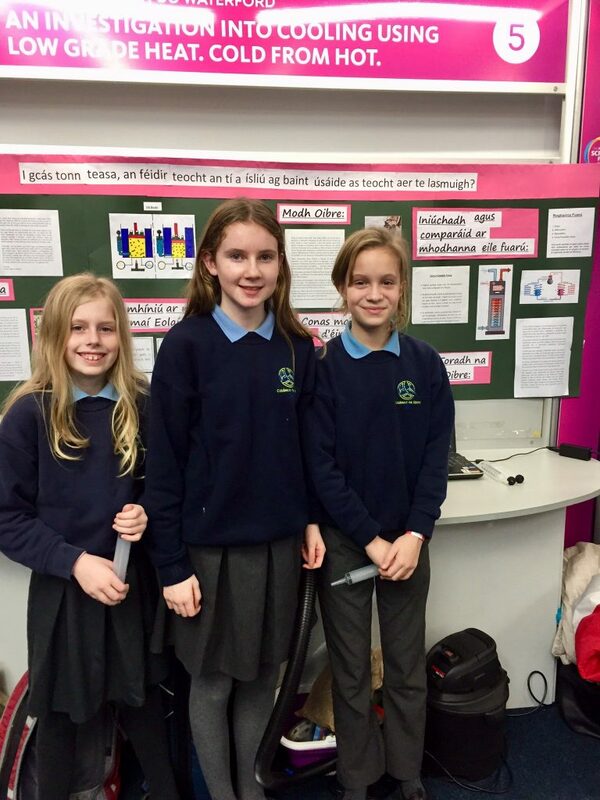 Their Project title was ‘An investigation into cooling using low grade heat. Cold from Hot’. Comhghairdeas ar an thionscadal iontach. Coinnigh suas an dea obair. 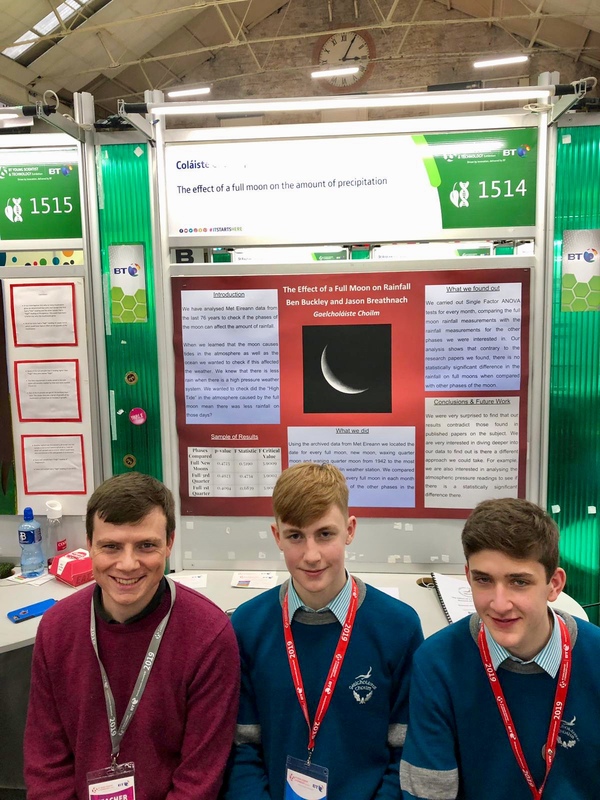 Met Éireann is dedicated to supporting public education in the understanding of meteorology, climatology, climate change, forecasting and forecast uncertainty. 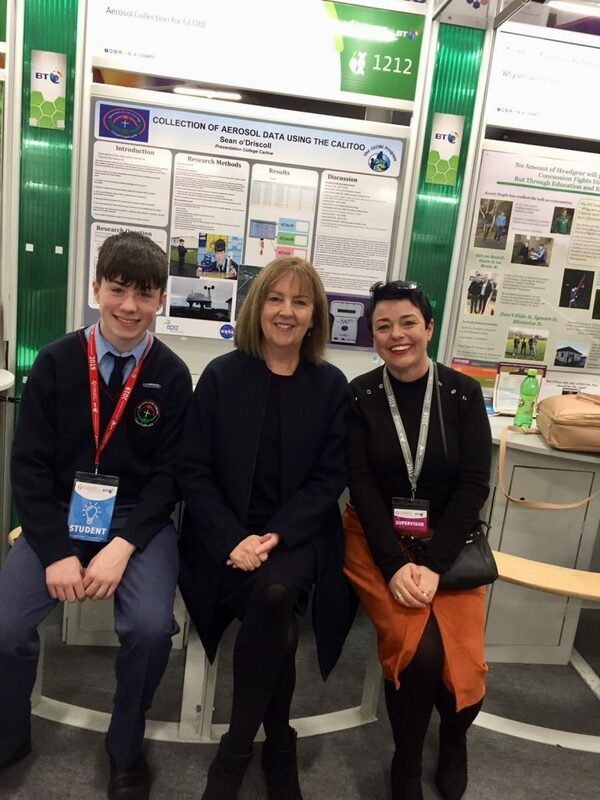 Through broad-reaching direct public engagement at national events – such as the BT Young Scientist Exhibition – school and college visits, and support for community initiatives, Met Éireann aim to foster a culture of weather and climate awareness and understanding in Ireland. 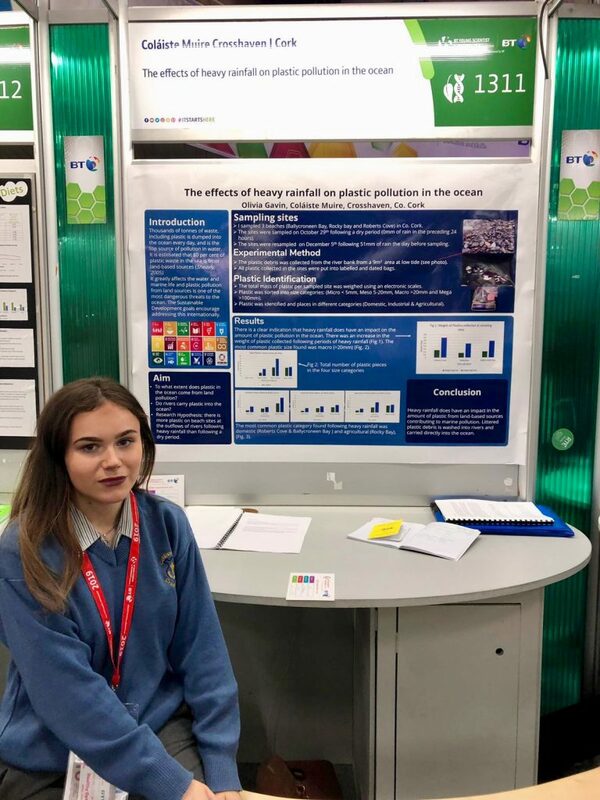 Congratulations to all involved in the BT Young Scientist Exhibition this year and we look forward to seeing you again at next year’s event.